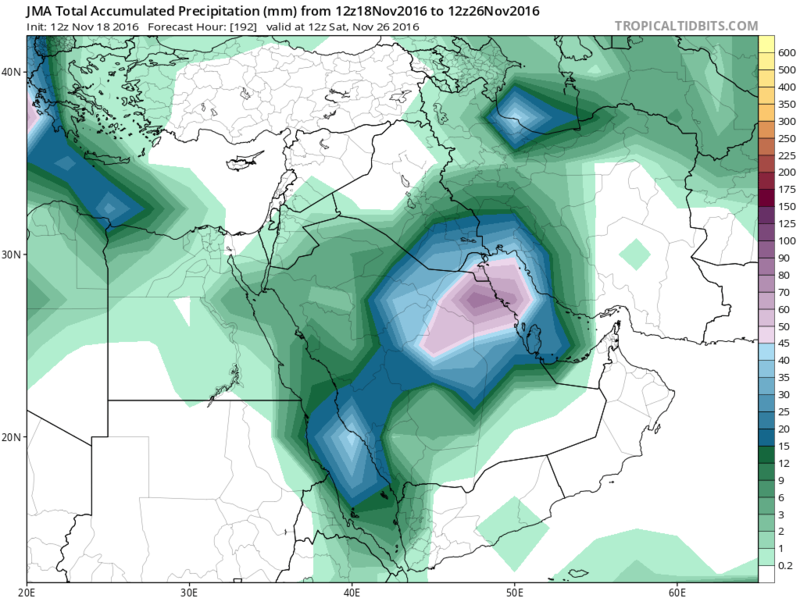 Models are in line still with a strong system affecting parts of the Arabian Gulf including parts of Kuwait & the eastern province of Saudi Arabia between the 25th of November & the 4th of December . At the moment there is still a discrepancy between the American and European models on the location of the system, the GFS American models are placing the system more to the north while that European model is shifting it further south. The bottom line we still have few more days for this system to get more accurate. The thing to note though is that the amount of rain predicted over the Gulf is unprecedented if it holds up. 300 millimeters within 7 days is something to seriously watch out for. Will keep you updated as we get closer to the end of next week. 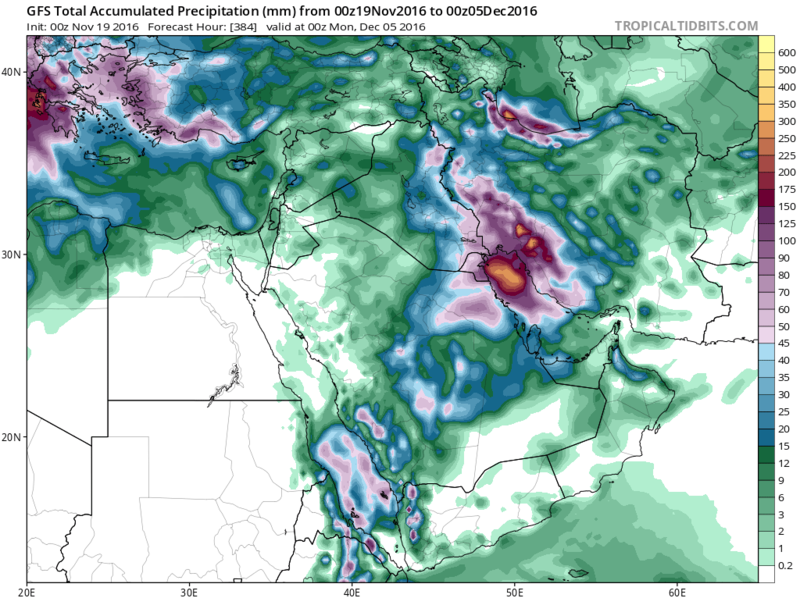 GFS model run for the Gulf is still holding on for a strong system by the 23rd of November to 30th.